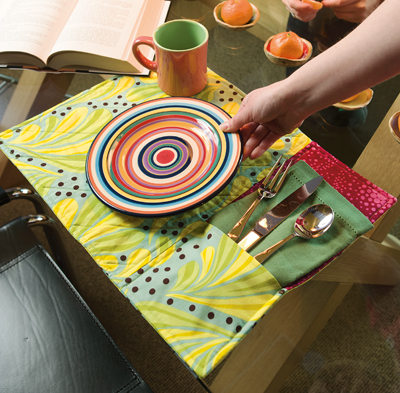 Stitch something fresh to liven up the dining-room table. 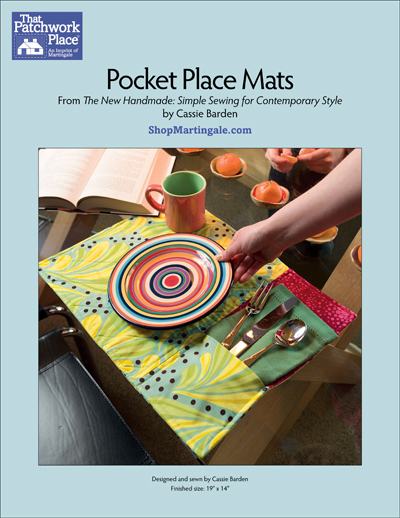 This set of place mats would also be handy for a picnic. If you've got children around at dinnertime, the fun pockets just might make it easier to get help setting the table. Finished size: 19" x 14"
Cute, fast little placemat. Great for present, ideal for fund raiser.